Chelsea Green Publishing Company, 9781603586191, 176pp. Thomas Cowan was a 20-year-old Duke grad--bright, skeptical, and already disillusioned with industrial capitalism--when he joined the Peace Corps in the mid-1970s for a two-year tour in Swaziland. There, he encountered the work of Rudolf Steiner and Weston A. Price--two men whose ideas would fascinate and challenge him for decades to come. Both drawn to the art of healing and repelled by the way medicine was--and continues to be--practiced in the United States, Cowan returned from Swaziland, went to medical school, and established a practice in New Hampshire and, later, San Francisco. For years, as he raised his three children, suffered the setback of divorce, and struggled with a heart condition, he remained intrigued by the work of Price and Steiner and, in particular, with Steiner's provocative claim that the heart is not a pump. Determined to practice medicine in a way that promoted healing rather than compounded ailments, Cowan dedicated himself to understanding whether Steiner's claim could possibly be true. And if Steiner was correct, what, then, is the heart? What is its true role in the human body? In this deeply personal, rigorous, and riveting account, Dr. Cowan offers up a daring claim: Not only was Steiner correct that the heart is not a pump, but our understanding of heart disease--with its origins in the blood vessels--is completely wrong. And this gross misunderstanding, with its attendant medications and risky surgeries, is the reason heart disease remains the most common cause of death worldwide. 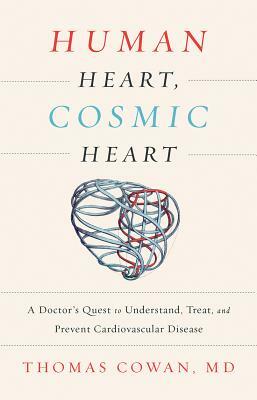 In Human Heart, Cosmic Heart, Dr. Thomas Cowan presents a new way of understanding the body's most central organ. He offers a new look at what it means to be human and how we can best care for ourselves--and one another.